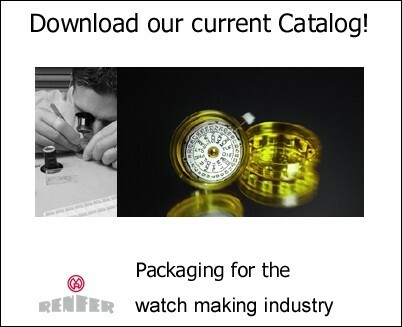 Catalog, Multimedia - Johann Renfer Ltd.
"Packaging for the watch making industry"
free of charge the pressure version! click on the Play-Button on the right! sample applications in practical experience? this short movie directly on your computer! please on the Play-Button on the rigth!